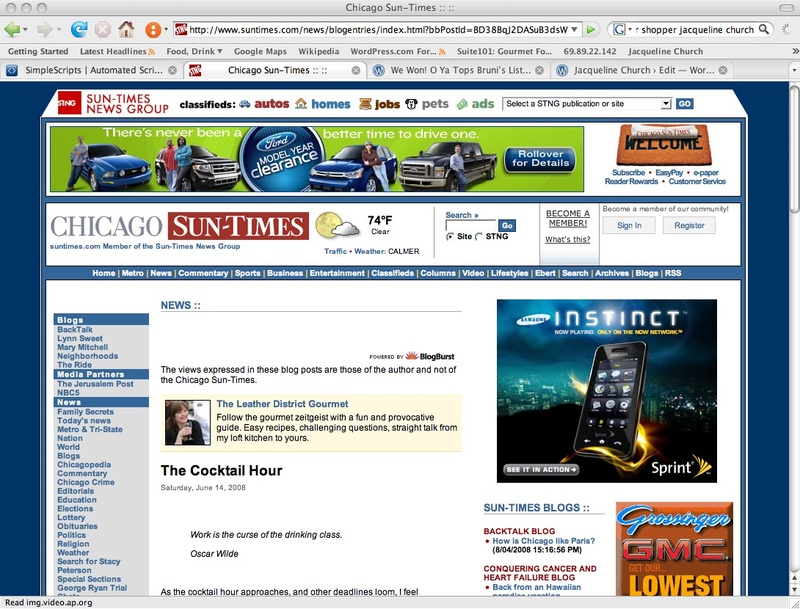 These are screenshots of my work as it appears in publications such as Reuters, Chicago Sun-Times and more. 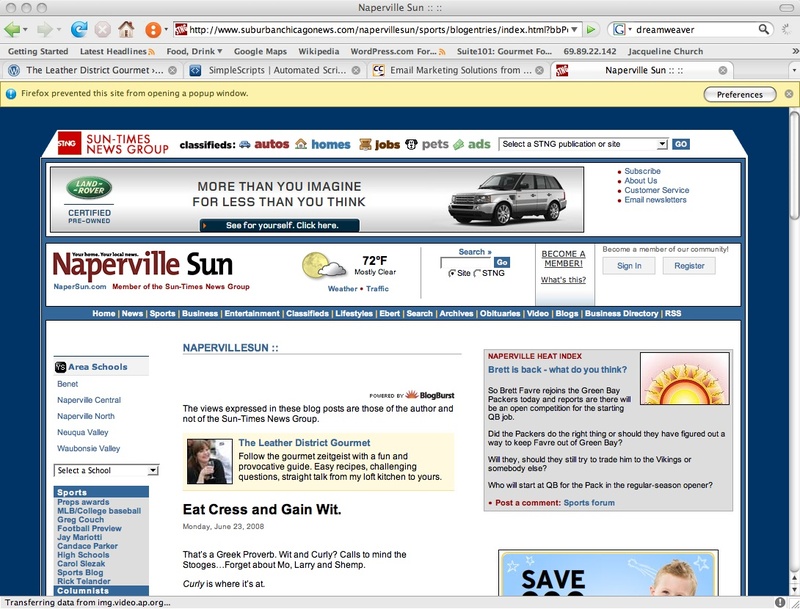 Blogburst syndication doesn’t yet include actual URL linking, tracking or search functions. I’m including links to my original work so that you can see them, access the links in them and see what the buzz is about. Please note: this is not a complete list, but a representative sample. I also reviewed it in my gourmet food column here. That was a straight review. 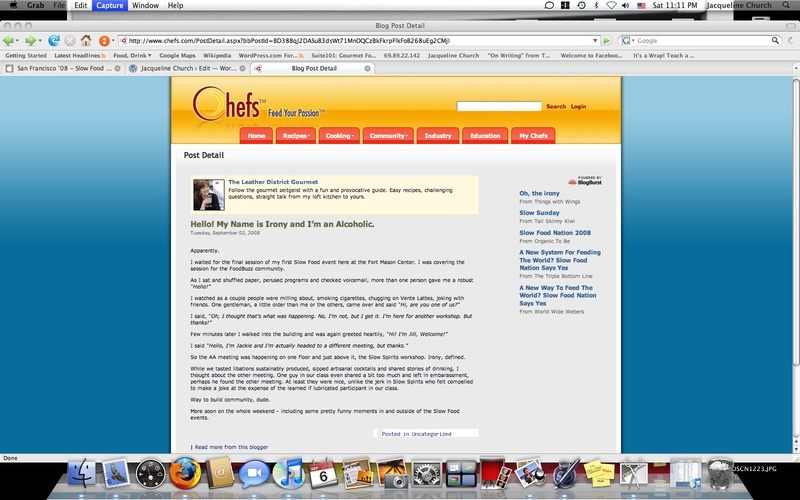 My blog article examined what makes a good cookbook, good. Photos include one I took of a bin of fresh pink salmon being unloaded at a cannery, my smoked salmon spread, and my home cured lox. Woo Hoo! When Bruni announced he was scouring the country to pick the top 10 places outside of New York City that any serious food lover must try, I was thrilled that our neighborhood favorite was chosen as number 1. This article contains links to my earlier pieces describing Omakase meals in general and some specific dishes we enjoyed at O Ya, as well as my pre-opening preview. 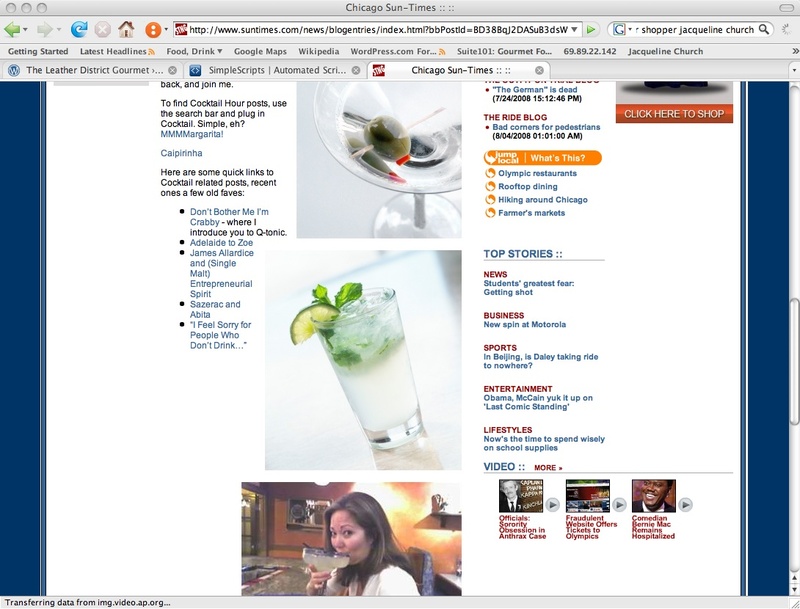 The Cocktail Hour – This was the parent Chicago Sun-Times pickup of my announcement of a new column feature. 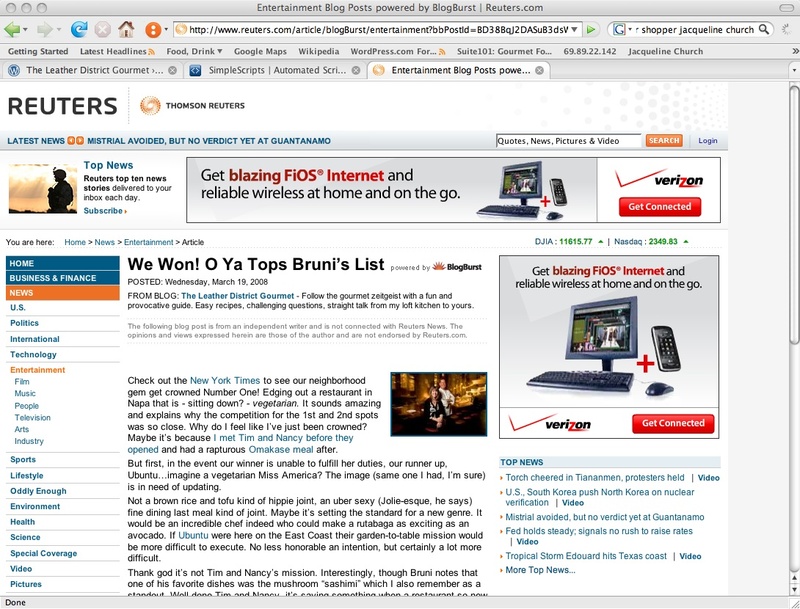 This feature has been very popular and I was to go to the big cocktail event Tales of the Cocktail in New Orleans. Only severe jet lag and work interfered – next year! I did invent a cocktail to honor my fellow Boston Barflies in attendance. The “Thai One On” a cucumber-lemongrass martini. This was a quick hit about the movie Frozen River which Courtney Hunt (a classmate of mine from Northeastern Law School) directed. The original post I wrote about it is here and the post they’re running is an update after more accolades followed the prize at Sundance, it is here. That is so wonderful! The screenshots are great. Nice that you were able to get the logo and the title together. Yay! !